Using the delicate French Provincial style as inspiration, Birdblack Design was tasked to design a beautiful kitchen within a new extension wing of an existing home. 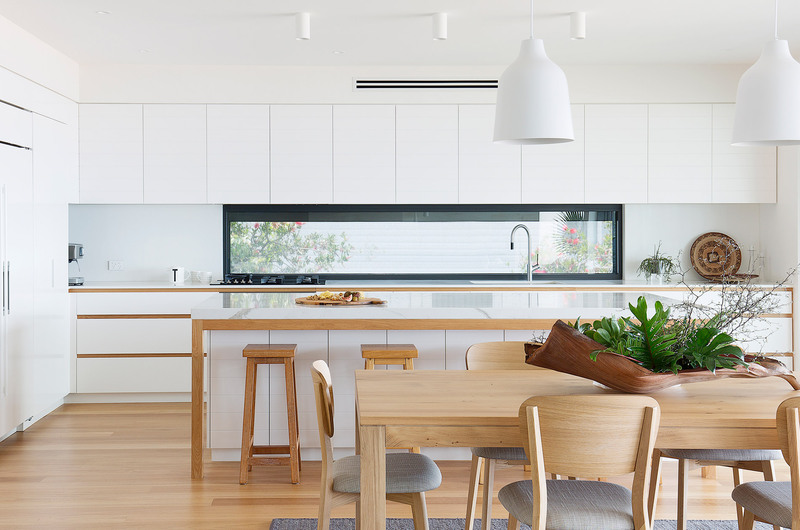 “We wanted to locate the kitchen within the middle of the space so that it would provide an informal and formal lounge and dining area on either side”, said Interior Designer Sarah Nolen. 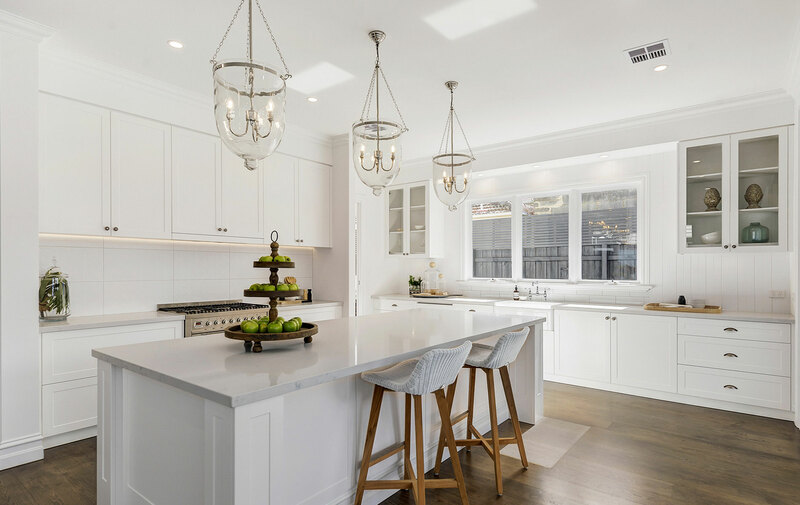 The galley style kitchen design allows the owners to access the space from every vantage point. 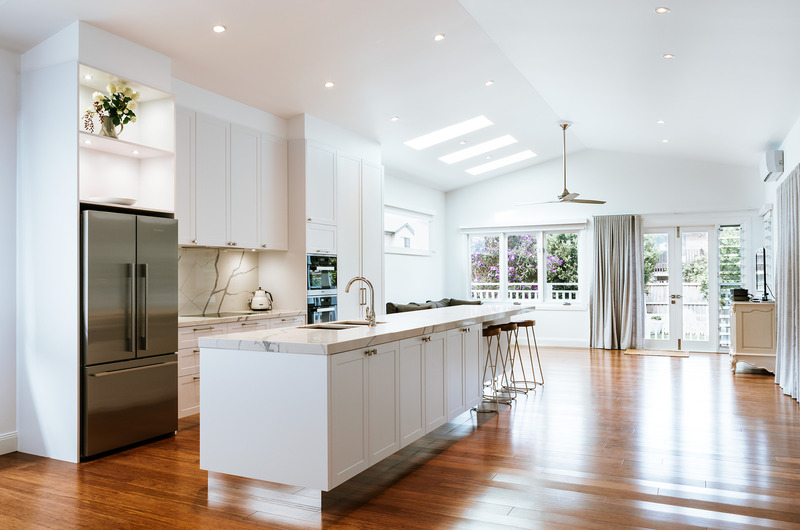 The kitchen functions as an entertainer’s kitchen with adequate storage and preparation space. 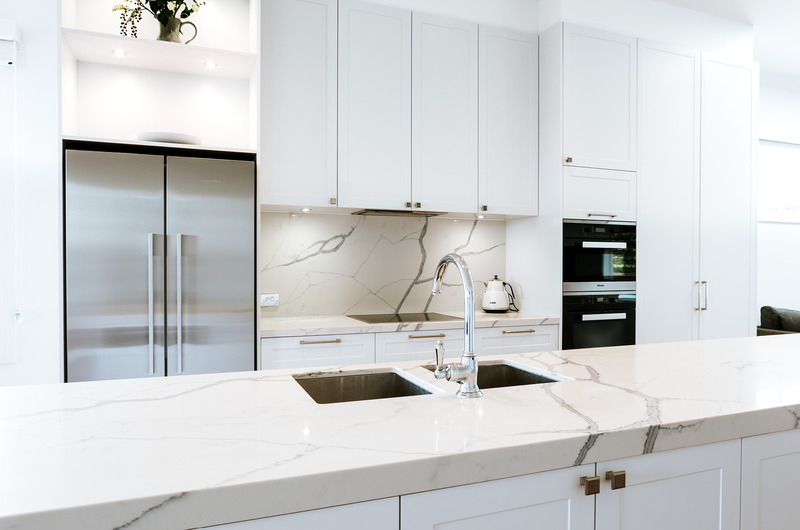 Smartstone Statuario Venato was the perfect surface choice for the kitchen island bench which spans 4.5 metres and centres the entire wing of the home. Inspired by prized Statuario marble, this beautiful surface features a luminous white background with fluid grey veining. “We chose to use Smartstone as we feel is the best replica of natural stone on the market. 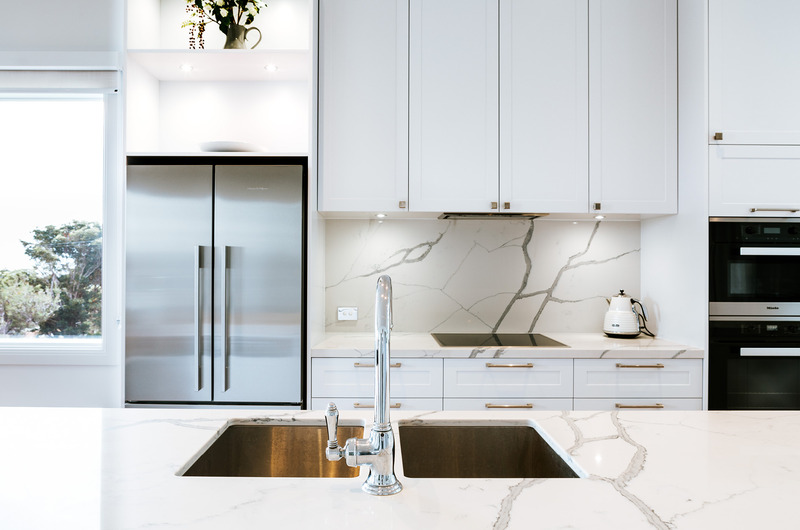 The jumbo slab sizes also allow us to vein match our benchtop with our splashback. This is always a priority when working with a stone that has such a striking vein”, added Sarah. 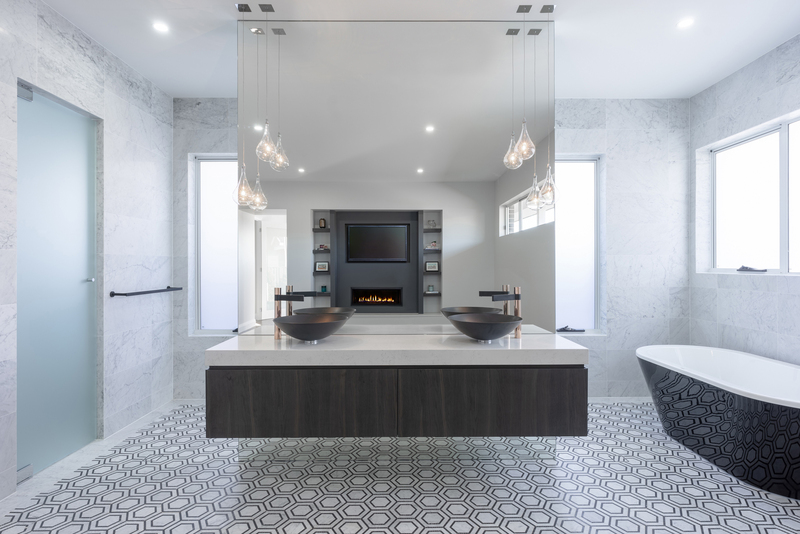 Birdblack Design used only a crisp white for the cabinetry keeping it light and expansive. 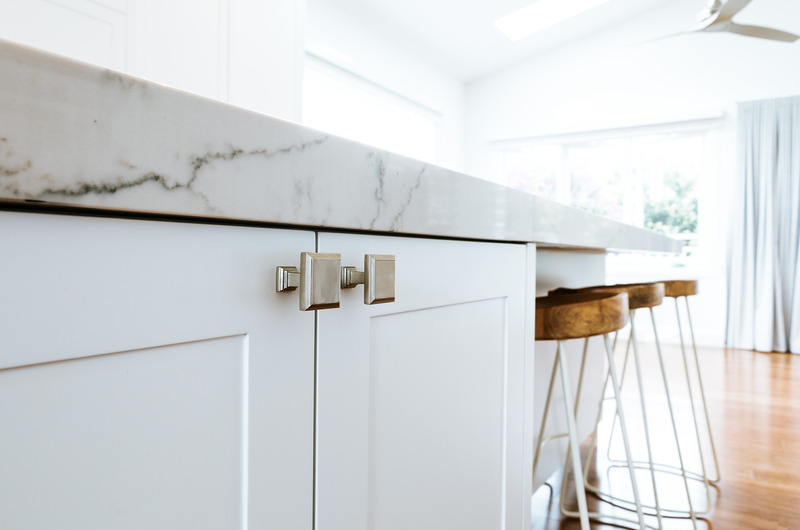 Finer details like the shaker profile doors and beautifully designed handles and knobs on each cupboard and drawer front helped layer the kitchen with elegant sophistication. 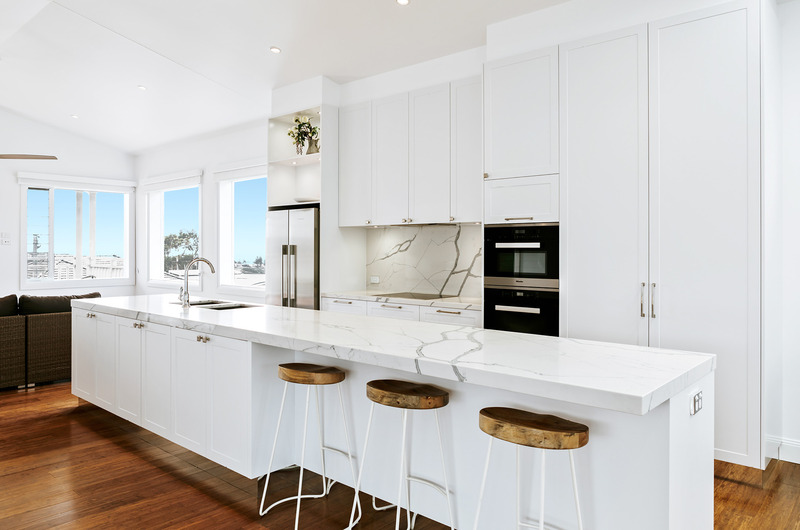 The designer said the simplicity of the white allows for the striking Statuario Venato benchtop and splashback to draw the necessary attention needed in a kitchen this size.